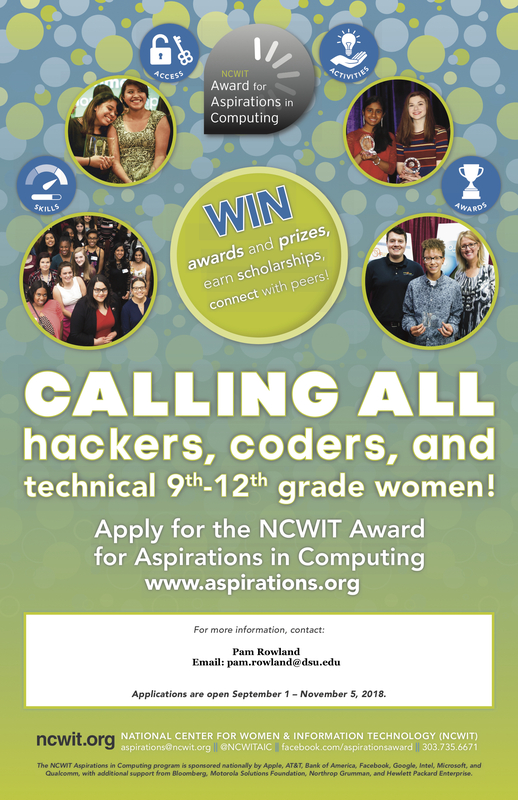 If you are a high school student, a college student or an educator in the computing field, apply to the NCWIT Aspirations in Computing Award. 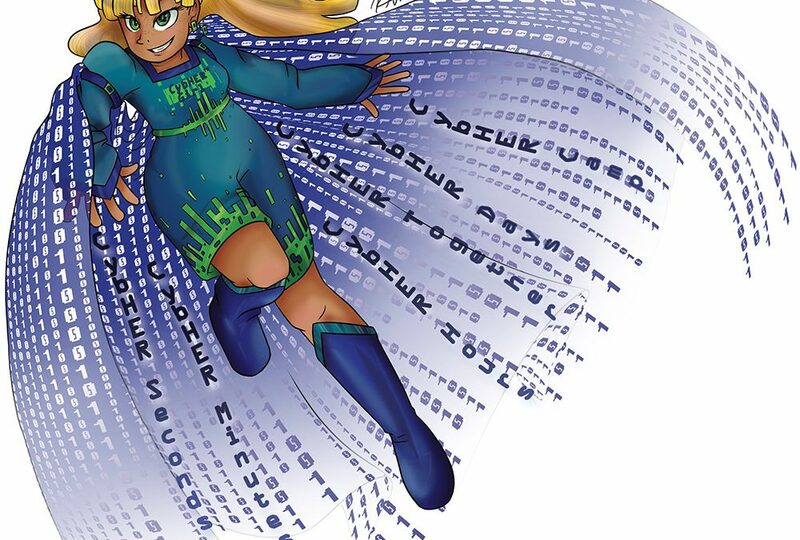 Please click on the picture below for more information. If you have any questions, please reach out to Dr. Pam Rowland at Dakota State University (pam.rowland@dsu.edu).